Get Ready In A Rush: 5 Minute Makeup Look! Good Morning, Everyone! So, this morning when I was getting ready for work, it seemed like the whole world was against me. I woke up too late, the clothes I had planned on wearing were dirty, I was dead tired so my face looked pretty horrendous, and then the line at the McDonald’s drive-thru was about 15 miles. Obviously I exaggerated on that last one, but you’re catchin’ what I’m droppin’. We’ve all been there, done that. Today, since it’s completely relevant to what I went through this morning, I wanted to share with you guys the morning routine I do when I need to get ready in rush. You can use whatever products you have and you’ll still achieve the look I’m talking about today, but the Olay Fresh Effects line has all it’s products which cater towards mornings like this! So, if you’re a chronic wake-up-late kinda girl, you should check it out! Plus, that packaging? Oh, I can’t even. It’s. so. 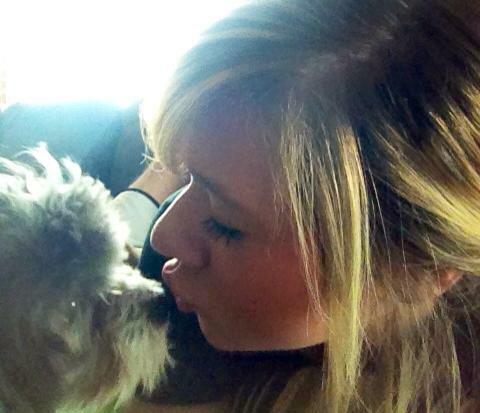 CUUUTE. Regardless of if I’m late or not in the morning, there’s always certain things I do the night before. For instance, I’m a night shower-er all the way! My hair is so thick and curly naturally and I take, like, 30 minute showers, so it’s just so much easier to get that done and out of the way before morning. Plus, taking a warm shower always helps me sleep better. I also dry and straighten my hair the night before as well. And if you’re someone that always wakes up with bags under your eyes, before you go to bed at night, but two spoons in the freezer and, in the morning, get them out and press them against your under-eye area. Hold them there until the spoons are no longer cold and the under-eye swelling will be gone! You can also set your clothes out, make your lunch, things like that, the night before. In the morning, that’s when the fun kicks in! You know the drill: you woke up waaaaaay too late and now you gotta rush to make it school/work on time. So, first things first, go wash ya face, girl! But here’s a trick for an instant wake-me-up, wash with cold water! As cold as you can stand it! The temperature will obviously wake you up, but it will also take down any swelling or under-eye bags you may have goin’ on. 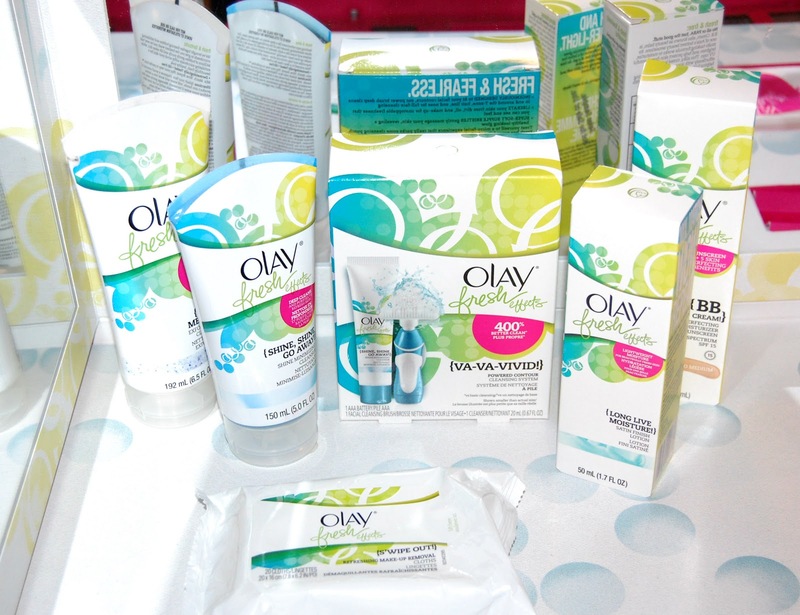 After that, moisturize with a rejuvenating face lotion (the Olay Fresh Effects line has got a good one! ), and, if you have time, prime your face with your usual primer. If you don’t have problem skin, just slather on some BB cream (again with the Olay Fresh Effects, they’ve got a good one) for a little bit of coverage. If you do have problem skin (like me), take your makeup brush or sponge and use that to apply your foundation. When you use a brush or sponge, it will help the product go on a lot smoother and quicker and give you a much more flawless finish. Apply concealer in any places you may need it, and then finish off with a translucent powder. When you’re in a rush, it’s most likely because you overslept, so you’ll probably look a little tired. In that case, it’s really important to go in with some blush and apply that on the apples of your cheeks. That’s gonna give you an instant perk and make you look more awake. After your blush, now it’s time for the eyes. When I’m in a hurry, I never have time to do a full-out eye makeup look. So, what I do, is just curl your lashes with your lash curler, apply a few swipes of mascara, and bada-bing-bada-boom, you’re done! It is really important though that you don’t forget to curl your lashes because, by doing that simple step, you’re opening up your eyes and making them appear wider and brighter. If you’ve got a little extra time, put some white or tan colored liner in your bottom waterline, which will counteract any redness your eyes may have. And, last but not least, just like the blush did, a little bit of lip color will give you an instant perk as well. People tend to associate bold lip colors with glamorous, put together looks that people take a lot of time on. And what they don’t know won’t hurt ’em. This is the exact look that I’m rockin’ at work right now and I haven’t had anyone tell me I like sick or tired, so we’re good! Fake it til you make it, right? I hope my little quick makeup look will help you guys at some point and thanks so much for reading! I’ll talk to ya later!